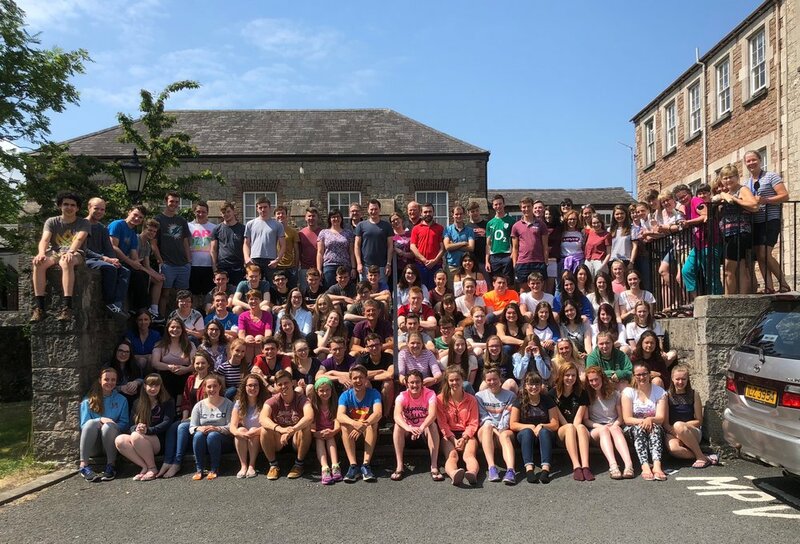 For the past 17 years, our minister Stephen has spent the first week of July at Senior Camp - a camp for young people aged 16+, currently held in Armagh. After 8 years as a camper, this was his 9th and final year on the committee. This year there were 82 campers, 16 committee members and 11 cooks - with around 15% of the campers/committee coming from Scotland. The speaker this year was David McCullough, church planting minister of Woodstock Reformed Presbyterian Church in East Belfast. David was Stephen's minister growing up, and when he and Carla first got married, and will be speaking in Stranraer on 25th August at our church family weekend. 1. Rev David McCullough preached through the book of Hebrews. We explored what Jesus Christ achieved when He came to earth, being the "final word", winning the battle in restoring all that man ruined and living a perfectly obedient life to God. Christ is a perfect example of the way we should live our life in that he pleased God in all that he thought, said and did. I learnt therefore that without Christ, we would have no Shepherd to guide us the right way. We can always trust in Him, He understands us as He came in our form and through His death for us we can seek for forgiveness from God. 2. The weather was amazing all week so I really enjoyed the sports outside like the team activities and the paint-balling. As a very competitive individual, I took it very seriously so enjoyed when our team won and at the same time made many new friends! 3. As it was my first camp, I loved getting to know people and everyone was really easy to get on with. Being in fellowship and amongst other Christians really strengthened me and by the end, I had not only made some great friendships, but had also grown in faith with God. 2. We had excellent weather at camp this year it lasted the whole week!! I loved taking part in all of the sports outside, especially all the group activities where we all had to work as a team... I’m still recovering from our tug of war!! 3. My favourite part of camp this year was definitely getting the opportunity to share fellowship with other young Christians, the week went past so quickly in their company!! 1. The talks at camp this year focused on Hebrews. I found them very encouraging as a reminder that, even though we are vulnerable sheep that so easily wander and get distracted, we have a great Shepherd and High Priest who is always looking out for us. It was especially encouraging to be reassured that even though we struggle with temptations on earth that Jesus understands exactly what we’re going through and has not only been faced with temptations we might be facing but ones others are facing as well. 2. I really enjoyed the paint-balling as I hadn’t done it before and thought it was a great experience (even though it was roasting and we were running around in big boiler suits!) 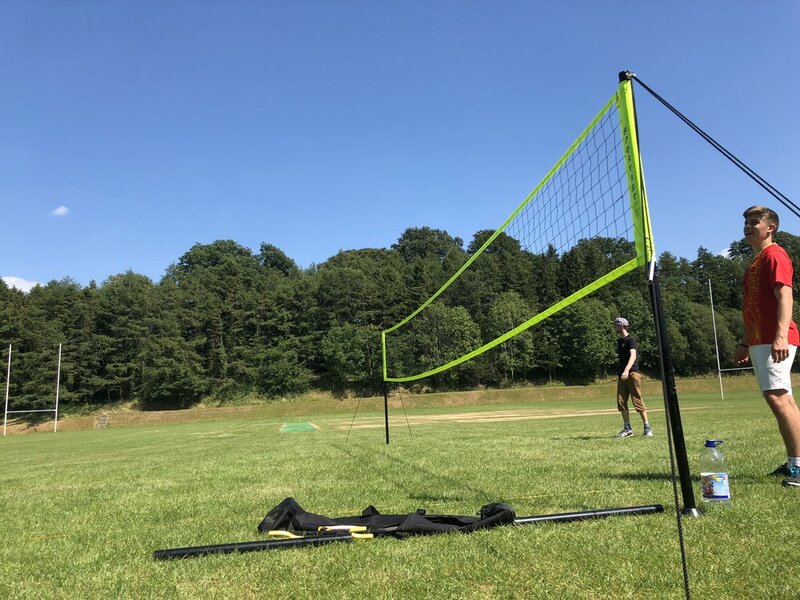 I also enjoyed the sports outside in the sun. 3. My favourite part of camp was definitely reuniting with friends and building up new friendships through fellowship together. 1. The talks this year I found very relevant to young people today. We are surrounded in schools by non-christians 24/7 where they do not understand us and try to change us. Due to this it can result in us being 'embarrassed' of Jesus which Rev McCullough spoke about. Why should we be ashamed/ embarrassed of Jesus when he isn't of us? Instead of being embarrassed and ashamed of us he died on the cross to save us and he made that known. He loves us as he is our shepherd, our king, our champion, our great high priest, our hero. We should be holding fast onto him as he is to us and as David said, we should be eager to be learning more about Jesus in order to tighten the grip meaning it is less harder to let go when tempted. 2. I really enjoyed the whole week!! Due to the really warm weather there was a hose pipe ban when we were over meaning no messy games which is always a plus! Didn't have to put up the smell of fish guts and cat food etc for a whole week! So my favourite activity was the non messy games as we didn't have to get messy!! 3. My favourite part of camp was definitely the same as Eilidih and Emily! I loved being able to chill and talk to friends and to develop those friendships face to face. So used to just talking to everyone online so it was good to be able to put my phone down for the week and just have fellowship with one another! Look out for more reflections on the RPCS website soon!